By Gary Nisbet Holmes & Jackson Ltd.
Firm of sculptors, modellers and plasterers founded by GSA graduates, John Holmes and Mathew Jackson. Operating from 61 Jane Street, 1892-1930, and 373 West Regent Street, 1930-62, the firm became a Limited Company in 1929, and outlasted many of their rivals until 1963. 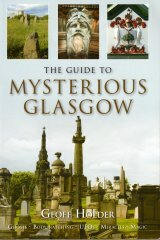 As architectural sculptors, they were particularly active at the turn of the 20th Century, producing carving and sculpture for a number of important Glasgow architects, such as J J Burnet , C R Mackintosh and James Miller , and often worked from models by other sculptors including Phyllis Archibald and Joseph Armitage . For C R Mackintosh and Honeyman & Keppie, they executed the carver work at Queen's Cross Church (1899); a Chimneypiece at Broughton House, Kirkcudbright, for artist E.A. Hornel (1908); the Robert M Mann Memorial, Busby (1910) and the Gate-Posts and Sundial at Dineiddwg, Milngavie (1912). Their best known work for C R Mackintosh is the figurative Tree of Knowledge relief above the entrance to Glasgow School of Art (1899). For J J Burnet , they executed the sculpture and carver-work on McGeoch's Warehouse, 28 West Campbell Street, from Phyllis Archibald 's models, including full-length, reclining statues of Industry and Science, and an angel representing Art (1905-6, dem. 1971). They also executed the armorial group and associated carvings on Burnet's Elder Library, 228a Langlands Road, Govan (1901-3). After world War I, they executed Lenzie UF Church War Memorial (1920); the carver work on the Bank of Scotland, Glasgow Cross, for architect A G Henderson (1925); and on James Miller 's Union Bank of Scotland, 110-20 St Vincent Street (1924-7). The Parcels Office, Waterloo Street (1903-5); the North of Scotland Bank, 63-5 St. Vincent Street, for Launcelot Ross (1926-8); and Govan Parish Church, where they carved the interior inscriptions (1926). One of the firm's notable commissions outwith Glasgow was for the carverwork on the cathedral-like Thomas Coates Memorial Baptist Church in Paisley, which features a fine display Gothic ornament, including gargoyles and angels (1894). With architectural carving redundant by the 1950s, the firm relied on contracts such as the plaster and roughcasting at Greenfield Primary School (1951) to sustain it into the second half of the 20th Century. Both John Holmes and Mathew Jackson trained at GSA, and exhibited portraits and genre works concurrently with their commercial activities, 1890-1928. Jackson's son operated his own firm of carvers as Mathew Jackson & Co., 44 Jane Street, 1924-c. 45, and is known to have produced monuments for cemeteries. Mathew Jackson's most important monument is the memorial to the World War II air ace, Squadron Leader Archie McKeller, in Eastwood New Cemetery, Thornliebank, Glasgow (1940-1).